Nothing beats meeting in person face to face. That's why the majority of sessions happen on Skype, but the reality is, as a musician and a business person, you'll need to reschedule if a unique opportunity comes up. By using the ever-growing members only online resource, you get to watch useful videos, giving you help, when you need it . Fully articulating WHO it is you are selling to is a step that pays off big time and I show you EXACTLY how to do it. Once you know who you should be speaking to I’ll show you ways of creating and framing what you do so it speak to them. 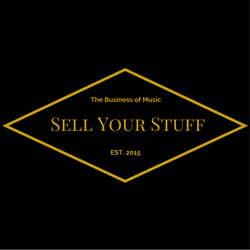 Selling stuff… if you can’t do that, bills don’t get paid and no-one teaches selling at Music college, so in here are a load of videos to help you in different situations you find yourself in. 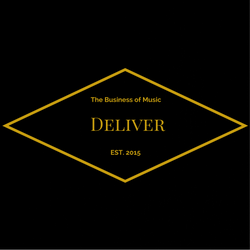 Delivering you stuff, starts way before the show or the lesson and continues long after it. It’s important to have a website that speaks to the people you help, not one that will make your mum all proud (though that’s no bad thing). You can’t escape it. My aim with this stuff is to make sure you are using it, not the opposite. In this area I upload things that I have found useful along the way. It means that when you are my client, looking to do something now… you have my support AND an ever growing library of ‘How To’ videos that are easy to understand, and easy to implement. When you work with me, you get things done. On top of that, you are less likely to be overwhelmed, more likely to be productive, more likely to be doing the things you are best at and… able to enjoy the freedom that comes with being a freelancer / business owner. So… If you a successful musician ready to level up and take more control of your diary, I’d love to speak with you with a view to welcoming you into the community of likeminded professionals. Interested? Great! A little bit apprehensive / excited about what you could be missing out on? That’s where the magic is! Click the button below, and let me know where you are right now.